Buying gifts during the holidays can make this an expensive time of year for many, making it even more important to know where you can find the top deals. One of the best bargains that you can give yourself this holiday season is health coverage. 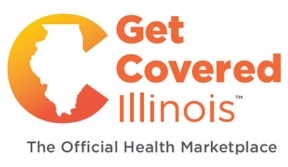 Get Covered Illinois (GCI) can help Illinois residents access health coverage with low-cost – or even no-cost – options depending upon their income. Time is precious during the hustle and bustle of the holiday season, and GCI is encouraging customers to consider working with a trained professional, either in-person or over the phone, to compare plans. Certified Navigators, agents and brokers can help customers make sure they understand their options and enroll in coverage. There are more options in the Marketplace this year than ever before. With more than 400 quality health plans available, Illinois residents can be confident that they have the opportunity to choose the best plan for their budget from the top insurance companies in the state. All plans include the 10 Essential Health Benefits that cover doctor visits, emergency care, preventive services such as mammograms and lab tests, and more. One-third of this year’s Open Enrollment Period is already behind us. While you do have until Feb. 15 to enroll, there’s no better gift – to yourself and your family – than closing out 2014 with the peace of mind that comes with knowing you have health coverage. There are many enrollment events and convenient locations where you can get in-person assistance and explore your coverage options. To find an event in your community, visit GetCoveredIllinois.gov. For more information or to schedule an appointment, call the GCI Help Desk at (866) 311-1119, open daily from 8 a.m. and 8 p.m.